Obituary for Dorothy "Dot" Mary Collins | Williams Funeral Home, P.A. Dorothy Mary Collins (Jordan) known as “Dot” by many, died peacefully at Sage Point Senior Living Services Nursing Home in LaPlata, MD on April 13, 2019 at the age of 91. She was born on September 20,1927 in Charles County, MD to the late Robert Leo Turner and raised by her foster mother, the late Laura Jordan and the late Catherine E. (Wills) (Thomas) Goldring. Dorothy received her education in the Charles County Public School System. Dot then met the love of her life Charles H. Collins in the spring of 1950. They were joined in holy matrimony and moved away to Baltimore City where they settled. 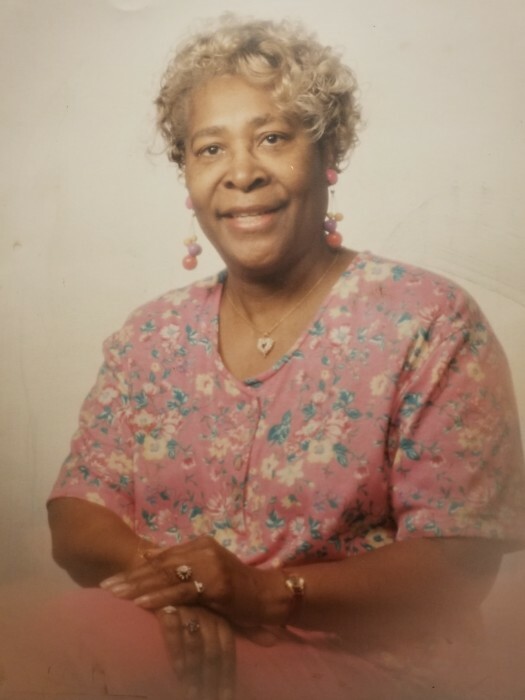 Dorothy began working for the Diamond Family of Baltimore County as a housekeeper and child care provider for their children Eli and Jannie Diamond. After years of service for Mr. and Mrs. Diamond, “Dot” as they called her, started working for their grown daughter Jannie Sachs for many more years. She truly loved this family and the time they all spent together. They always said that “she was their family member too” and up until Dorothy’s passing, Jannie still kept in touch with “Dot” through visits, flowers, cards and phone calls. Dorothy and Charles would come down for visits to the “COUNTRY” as “Dot” would say. They loved to come down and bring gifts and goodies especially her “Famous Sauerkraut with Pig Tails”. She enjoyed her time spent with family, especially the holidays. Dot loved dancing, cooking, traveling and the “Country Cabaret’s”, that she and Charles attended with family and friends. She and the ladies had so much fun dressing in their long gowns and high heel shoes. Everyone knew when Dot and Charles were coming down from Baltimore and would all meet at the home of Mary and John (Duppie) Hemsley in Newburg, MD. Dorothy leaves to cherish her precious memories a sister, Shirley Duckett and three sister-in-law’s, Ella Davis of Chicago, Deborah Thomas and Virginia Wills, a host of nieces, nephews and other relatives and friends. Dorothy was preceded in death by her husband of 56 years, Charles Henry Collins, brothers: DeSales Turner, Daniel Swann, sisters Helen Turner and Thelma Douglas. Friends will be received at the funeral home on Saturday, April 20, 2019, at 8 AM until time of funeral services at 9 AM. Interment Trinity Memorial Gardens, Waldorf, MD.